​A 3-day Water Safety Instructor Training course is now being offered through Michigan Tech Community Programs on June 15, 28 & 29. 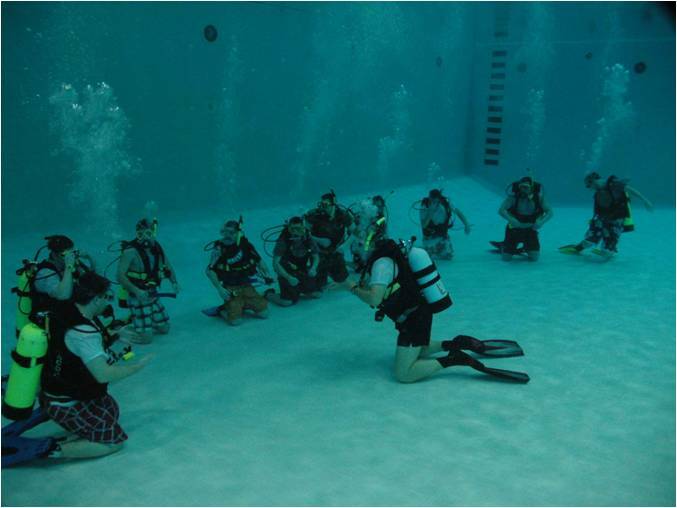 The comprehensive Red Cross WSI program trains instructors in water safety and drowning prevention and provides information needed to plan and conduct courses in the Red Cross Swimming and Water Safety program. Cost to register is $260. Deadline to register is May 30. For more information, visit http://www.michigantechrecreation.com/programs/specialty/wsi/index. Information and registration now available online for all summer hockey programs. For more information, visit www.michigantechrecreation.com/programs/youth/hockey. In the Studio, Pool and Ice Arena, we have it all to keep your Little Husky active, engaged and having fun all summer! Open Skating – Thursdays, 5-5:50pm, July 3 – August 28 (no 8/7). For awesome deals, event announcements and more, connect with Michigan Tech Recreation on Facebook. HOUGHTON, Mich. — Michigan Tech will host a Spring Hockey Carnival at the John MacInnes Student Ice Arena onSaturday, May 31. This free event for the whole family will feature games for kids, opportunities to interact with Huskies coaches and players and door prizes. The day also represents the final chance to purchase Tech season hockey tickets at the discounted price of $225. The Spring Hockey Carnival will run between 4-6 p.m. with plenty to do. Youth are encouraged to bring their own hockey sticks and play floor hockey. Tech players will run skill sessions, and there may even be a chance to shoot against Huskies goaltenders. All children will receive a free poster that they can have signed by Tech players. The locker room and other hockey facilities will be open to tour. A bounce house, video games on the arena’s big video board and music are also part of the evening. Season tickets for Michigan Tech hockey purchased by the end of the Spring Hockey Carnival event are $225 apiece—$75 off the regular price of $300. Each season ticket guarantees a reserved seat for all 22 Michigan Tech home dates in 2014-15 (little more than $10 per game). Dive Into Summer With SCUBA!!! Michigan Tech Community Programs is offering a summer SCUBA class May 29 to June 26. The class will meet Thursday evenings from 6:00-9:30 p.m. at the SDC. Everything is provided—equipment, tank fills, books, and supplies—all you need is a suit and towel. At the end of the course, you can earn a PADI (Professional Association of Diving Instructors) certification after completing an open-water dive. Cost of the class is $375 and is limited to 8 people. Registration will close May 15 so that supplies can be ordered in time for the class. Summer’s Here… Won’t You Join Us? Summer Community Programs Begin Next Week! With so many great options this May-August, what classes are you taking this summer? Join the fitness classes anytime by committing with an 8-punch class card OR try us out for a single session for only $6. Specialty Yoga Workshops start this Sunday. Did You Know? Michigan Tech employees who are TechFit benefit eligible can use their TechFit bucks ($150 for employee and $100 total for dependents) for summer programming!